Meanwhile, Mrs. Penelope Wolfe, an abandoned wife, flouts convention by earning her living with her pen. She’s in love with barrister Edward Buckler and hesitant to further scandalize society by breaking any more rules. Hugo Garrod invites her to join his household and put her pen to work. Her assignment takes her into an exotic world where menace lurks at every turn of the garden path and the façade of propriety masks danger. S.K. 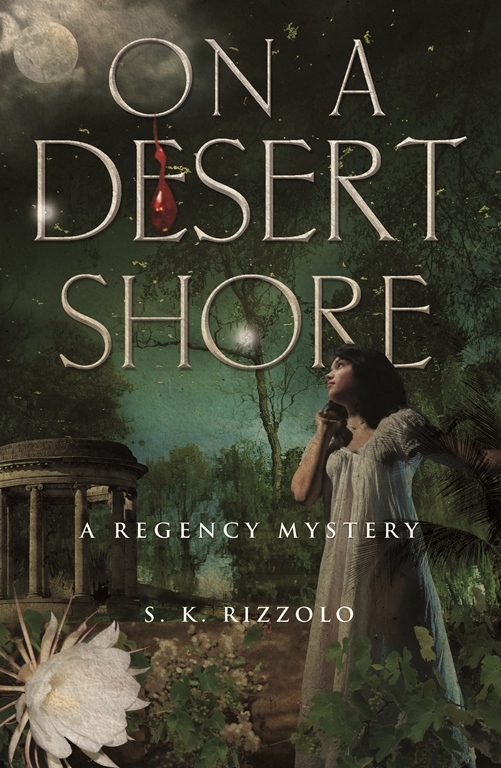 Rizzolo earned an MA in literature before becoming a high-school English teacher and writer. Her Regency mystery series features a trio of crime-solving friends: a Bow Street Runner, an unconventional lady, and a melancholic barrister. 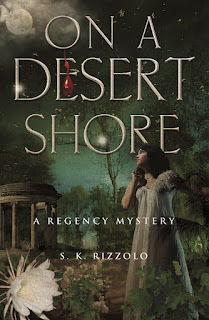 On a Desert Shore is the fourth title in the series following The Rose in the Wheel, Blood for Blood, and Die I Will Not. Rizzolo lives in Los Angeles. For more information, visit S.K. Rizzolo’s website. You can also find her on Facebook, Google+, and Goodreads.